Police scanners have been in use for many decades now. These devices are presently used by patrol police, airspace control employees, and others. Hobbyists have also been known to use these scanners to communicate amongst themselves. To enjoy using this device, you will need to learn how to program a police scanner. The process is simple once you understand the basic concept. Your police scanner might run out of charge in the middle of the process. In such cases, all your efforts will have gone to waste since your programmed channels and frequencies will get lost. You can also choose to plug your radio scanner to an outlet until the end of the process. You will have to connect an antenna to the police scanner for clearer transmission. If necessary, you can find an external antenna. Since you haven’t programmed any frequencies yet, you will hear some unclear noises. There are many places where you can get frequencies for your radio scanner. Some of the frequencies may fail to get programmed into the scanner. These are likely to be frequencies of cell phones. Otherwise, they should be able to work with your scanner perfectly. Shops that sell police scanners usually have a list of frequencies available. For hobbyists groups, you can usually find the frequencies on the internet. You just need to “google” the hobbyist group name or find them on Facebook. You can also find frequencies on radioreference.com. If you are on the website you can go to the “frequency database” at the top bar of the page. Under this, you should click on the frequency database, at which point you will get a map of the United States. Find your state on the map and click it. It will be magnified, and then you can find your county. At the bottom of the screen will be a list of the various frequencies in the state, alongside their category. It is also wise to see if it is legal to use a police scanner in your state before you begin. The website mainly lists official and important frequencies, so you shouldn’t expect to find frequencies of local hobbyist groups. If you are using a handheld device, you can scan the locality for available frequencies. This is done by pressing the “scan” button. After turning on the police scanner, you should press the programming button until the screen starts to blink with the letters “CH.” You can then release this button and enter the first frequency you want to save. For example, if you want to program the frequency 123.6789, you will have to key in the numbers, including the decimal point. Once that is done, you will press enter. This button is usually labeled “E” and is located at the bottom right corner of the device. If you have trouble locating this button, you should refer to your user manual for directions. After programming the first frequency, you can press the “Manual” button again to enter another frequency. If the first one was saved on channel 1, this next one would automatically be saved on channel 2. In many devices, you can see the channel number on the left of the screen, just beside the frequency number. After entering the second frequency, you will press “enter” to save it. If it fails to save at this point, this might mean it has been stored in a different channel. If you still want to save the frequency in this new channel, you can press “enter” again. You can enter as many frequencies as you want. When you are done, you can press the program button again to exit this mode. If you don’t like the idea of programming the frequencies yourself, you can go for a ZIP Code based scanner. These are pre-programmed, so you don’t have to worry about the programming process. 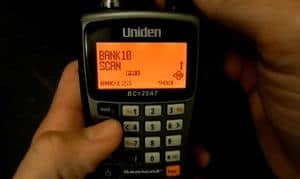 Uniden and Whistler are the best-known manufacturers of ZIP Code based police scanners. Many people have the misconception that these devices will only access the frequencies in the given ZIP Code. In reality, the ZIP Code you select will only serve as a central point. The scanner will be able to pick up all frequencies within the selected range and program them into the police scanner automatically. You will also need to select the specific services you want to capture. For example, if you want to listen to the police communications, you will have to set it on the device. If you don’t select a specific service, the device will not capture the frequency. In case a certain service you selected is unavailable, it will be grayed out. It is also possible for your device to get the frequency of a service you are not interested in. If this happens, you can simply use the “Avoid” button on your scanner. With these scanners, you can choose to avoid the service temporarily or permanently. With the temporary option, the specific service will be unavailable until the device is shut down. When you restart it, you will be able to access it again. If you permanently avoid a certain service, you will not be able to listen to it until you “unavoid” it manually. 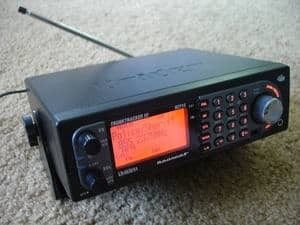 Police scanners or radio scanners are quite easy to use. Programming them might require you to first go through the user manual. The labels of the keys might differ across the devices. However, the basic concept is the same. You simply need to press the programming button and enter the frequency you want to save, then press enter. The channel number can also be selected, although it usually just saves new frequencies in the consecutive channels. You can now listen to conversations within various public departments and even amongst your local hobbyists.